We don’t know yet how serious the nuclear crisis in Japan will be. With luck, the leaks will be contained soon. God knows, the Japanese people have suffered enough. But what’s happened so far highlights the fundamental problem with nuclear energy. The case against atomic power is – and has always been – very straightforward. Nuclear reactors produce substances that are astonishingly deadly. Those substances stay toxic for tens of thousands of years. No-one has yet developed an adequate means of disposing of nuclear waste, something that the boosters of atomic energy rarely like to mention. Proponents of atomic energy must, therefore, guarantee that no accidents will occur over an almost geological period. In other words, it’s not enough to assure us that a plant and its waste will remain safe barring extraordinary circumstances, since, given the timescales in question, the extraordinary becomes almost certain. In the WSJ, for instance, physicist Richard Meserve explained that Japanese reactors experienced a ‘one-two punch of events beyond what anyone could expect or what was conceived’. 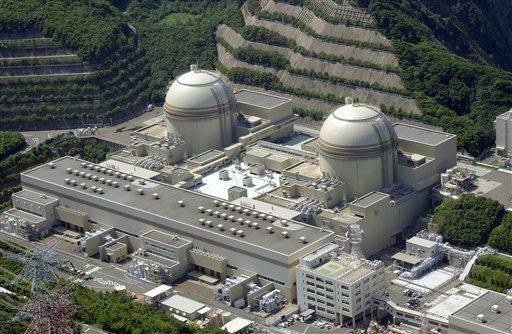 But the more reactors you have, and the longer you operate them (forty years, in the case of Fukushima), the likelier the inconceivable becomes. According to the International Atomic Energy Authority, about one in five of the world’s 442 commercial nuclear power stations operate in areas of ‘significant’ seismic activity. Given those figures, was the earthquake-tsunami combination really so unlikely? In any case, when it comes to nuclear waste, deadly for tens of thousands of years, discussions about what ‘anyone could expect’ become entirely meaningless. Burying radioactive isotopes under a mountain in Nevada might seem reasonable for the next year or the next decade. But can anyone seriously guarantee the safety of that site for the next century – or for ten more centuries after that? A severe problem with nuclear waste is also said to exist in Central Asia. According to Colonel Nikolay Petrushenko, one of Kazakhstan’s representatives in the new Soviet parliament, more than 70,000 nonmilitary “radioactive sources,” distributed among 8,664 installations, exist in the Kazakh republic. Ten percent of these sources need to be buried, a task currently entrusted to “the housing and municipal services.” Moscow television announced that radioactive containers have been found near Tashkent, in neighboring Uzbekistan, and that “specialists regard the discovery as a major emergency.” Nearby, in ancient Samarkand, cancer patients were inadvertently exposed to “sources of radioactive emanation” found in a local oncology clinic. OK, these shocking stories (and let’s not even get started on the ageing Soviet-era nuclear weapons) come from a nation in decline, rather than from advanced states like the US or Japan. Remember, though, the Soviet Union once led the world in atomic technology, and its nuclear industry only fell into disarray when its economy collapsed. Well, is anyone really prepared to bet on the health of the American and Japanese economies over the next half century? Will a reactor built today be properly maintained in the decades to come? Can anyone give that guarantee? Of course they can’t. You only have to look at, say, the proliferation of urban decay in Detroit to be reminded that, while radioactive isotopes last forever (or near enough anyway), economic prosperity comes and goes. Who is to say what condition the shiny plant commissioned today will face in twenty years time? This represents more than the usual corporate duplicity. Because of the public’s understandable fears about nuclear energy, the plant owners guarantee absolute safety, a level that they simply can’t deliver. Thus the Times Week in Review looks at the Japanese disaster and concludes that, ultimately, there’s no way to be entirely secure from natural catastrophes. The sobering fact is that megadisasters like the Japanese earthquake can overcome the best efforts of our species to protectagainst them. No matter how high the levee or how flexible the foundation, disaster experts say, nature bats last. Dr. Irwin Redlener, director of theNational Center for Disaster Preparedness at Columbia University, warned that an earthquake in the United States along the New Madrid fault, which causedstrong earthquakes early in the 19th century, could kill tens, or even hundreds of thousands of people in the more densely populated cities surrounding theMississippi River. But no-one – especially those living near a nuclear reactor – wants to hear that. Hence the industry’s penchant for obfuscation and falsification. If all this sounds entirely obvious, that’s because it is. The critique of the nuclear industry was, until comparatively recently, a commonplace of the Left. Indeed, it’s often forgotten just how powerful the anti-nuclear movement once was. In the eighties, the annual Palm Sunday anti-nuclear rallies attracted huge crowds in major Australian cities – the 1986 march in Melbourne, for instance, drew perhaps 250 000 people. At that time, surveys showed that half the population opposed both uranium mining and export, as well as the visits of U.S. nuclear powered warships to Australian ports. 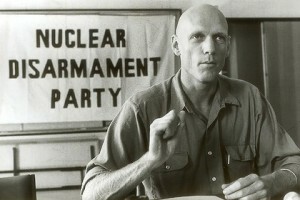 In 1984, a Senate seat was won by the Nuclear Disarmament Party, an organisation in which a certain Peter Garrett played a leading role. Garrett’s band Midnight Oil gave the anti-nuclear sentiment of the time a powerful voice: consider, for instance, the description in the song ‘Harrisburg’ of an atomic plant melting down. At that time, activists staunchly opposed not only atomic weapons and power but also uranium mining, on the entirely reasonable basis that digging the stuff up and selling it abroad facilitated the nuclear industry abroad. If you sell uranium, you have to take responsibility for what’s done with it, for to do otherwise is to embrace the morality of a drug dealer. Let us note, then, that the company that operates the Fukushima plant uses uranium mined in Australia. Since the late nineties, there’s been a concerted and largely bipartisan attempt to break down the broad public hostility to nuclear power. Uranium mining was, of course, a major battleground between the Labor Left and the Labor Right. In 1977, the ALP (then in opposition) declared its opposition to all mining of uranium. But once in power, the Hawke government adopted the so-called ‘Three Mines Policy’, under which mining would not be extended but would continue in sites already in operation. Not surprisingly, this position satisfied no-body. Anti-nuclear activists contended that, if uranium mining was wrong, it was wrong wherever it was conducted, whether the mines were already open or not. The Right, on the other hand, sought to open the market up – not, initially, on an economic basis (the price for uranium remained unsustainably low throughout the nineties) but as a matter of ideology. The mining industry saw restrictions on uranium as a dangerous precedent, in which environmental and social concerns (such as Aboriginal rights) impinged upon the alienable rights of entrepreneurs to make money however they wanted. Over the last decade, the uranium lobby has been increasingly successful. Partly, the end of the Cold War eased fears of a nuclear confrontation. More importantly, the decline of the Left generally corresponded with an almost total collapse of the Left within the ALP, as all the Labor factions adapted, implicitly or explicitly, to neo-liberalism. Yesterday’s anti-nuclear activists are today’s cabinet ministers. In many ways, though, the arguments today are more compelling than they were in the past. The world is, after all, far more politically and economically unstable now than in the 1980s, which means the safety of nuclear plants and waste dumps is far more difficult to guarantee. Apologists for the industry are openly fretting that the Japanese situation will re-ignite the debates about nuclear power. They should be worried. Quite rightly, people are not going to believe anything they say for some time to come. But we need to go further, revisiting the case not only against atomic energy but against the mining of uranium. Again, you can’t sell the raw material for nuclear plants around the world and then not take a position on the industry that depends upon it. If we think that nuclear power stations are dangerous – and they clearly are – then we should not be facilitating their operations. Again, it’s not a difficult argument. Thanks Jeff for a brilliant and comprehensive post on this extremely important issue which seemed to be getting sidelined in recent years. You’re right – it shouldn’t be a difficult argument – what the hell is going on in the world when you have people worried that the nuclear crisis in Japan will turn people off nuclear energy – I am just blown away by that and the tunnel vision of these people who think nuclear is the only legitimate response to climate change – we need to invest big time in alternative energy sources that don’t include nuclear – we have the brain power to do this. The human population and the environment should never be used in a game of chance and risk taking – and that is what we have when nuclear energy and weapons are in the equation. Thanks for spotlighting this Jeff. Last year the ABC’s Counterpoint program hosted a debate between Ian Lowe and Barry Brook, around the pros and cons of nuclear power. (http://www.abc.net.au/rn/counterpoint/stories/2010/2901393.htm) I think this was published later in book form, and was up for review by OL at one stage. Anyway, apart from being glacially, mind-bogglingly boring as an actual debate, the argument between Brook and Lowe was conducted entirely in technocratic terms, much like the climate change ‘debate when people like Ian Plimer get hold of it. The political dimension (how is power consumed, can we consume it differently, who gets what and for what, how does the consumption of power reflect our social order and so forth) were more or less ignored. The gung-ho commitment to nuclear power to supply endlessly expanding needs assumes that the political and social structures we have that demand that power are non-problematic. On top of that the control of nuclear reactors has historically been by organisations and corporations that have a dubious commitment to openness and public safety. Transnational corporations are not the people to be put in charge of the production management and disposal of material that is so toxic no-one can go near it for thousands of years. The current nuclear crisis in Japan is illustrative of this. No-one seems to have the slightest idea what has actually happened because TEPCO won’t tell anyone. They appear to be no more competent in dealing with the situation than BP with the Gulf oil catastrophe. 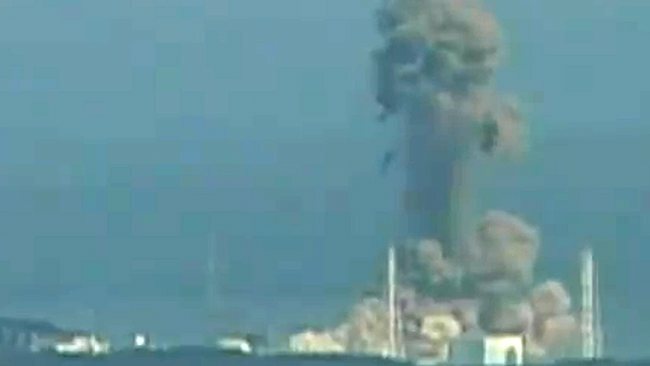 I was directed to this article by a friend and found it very informative (although you may get annoyed at its pro-nuclear bent): http://www.theregister.co.uk/2011/03/14/fukushiima_analysis/ While there have been developments since it was written, the discussion of the safety systems is pertinent. While I’m not defending nuclear power as a safe source of power–obviously you’ve covered the major issue having always been the safe disposal of radioactive waste–I find it interesting that the slamming of nuclear power has been done without any concession made towards how oil and coal have pretty conclusively screwed our planet. If the same amount of money that has been ploughed into oil exploration for the last, say, 10 years, had instead been placed into research into safer nuclear storage options and safety mechanisms (though from that article it seems like the safety mechanisms are fairly well developed)…well, who knows. Agreed. Who can claim to be able to predict the morphology of the Earth a million, or 17 million years (the half-life of I-129–thanks Wiki) into the future? Anyway, thanks for a very well-written article amongst the ridiculous, over-the-top scaremongering of the mainstream media. P.S. My initial reCAPTCHA was, fittingly, the symbol lambda (corresponding to wavelength in physics) and ‘ramen’. Thanks Jeff for another goodie. Consider the possibility of the situation in Fukushima being ‘contained’ both in terms of the extent of physical degradation of the facility and the management of information. In this case, the current disaster scenario would become a boon to the nuclear boosters who could claim that forty year old reactors withstood one of the most powerful earthquakes in recorded history. There is little doubt that the full extent of the Chernobyl incident has never been fully revealed in the public domain. Given the expertise and resources of the nuclear industry PR machine we can expect a similar obfuscation to ensue in Japan. This will greatly aid and abet the proliferation of nuclear energy in the context of climate change abatement. Not a pretty choice of scenarios. I am pleased to see that the nuclear option as an alternate energy source is back out in the open for discussion. I was also amazed to learn yesterday that Angela Merkel has called for a three month moratorium only (not sure if I have spelt tht one correctly) before she signs off on extending the life of ageing nuclear power plant infrastructure. This is another big problem coming our way. Our Earth is not a silent partner in our experiment! Jeff. One thing worth mentioning: Because of the order of your piece, you don’t highlight is the way that the rise of the NDP was related to the betrayal the Left felt at the ALP’s 3 mines policy. I think it’s important to remember that the NDP was partly a consequence of Left activists and supporters of the ALP breaking away from the ALP to the left, in the context of the movement which you mention. This was a process which later contributed – in the case of some figures directly – to the rise of the Greens. Actually, it’s remarkable how little the whole anti-nuclear movement is talked about now, given how huge it was at its peak. There must be lots of people out there who belonged to PND, voted for the NDP or attended Palm Sunday. Yes, lots. I remember being taken along to those demos as a child. They were massive. In terms of the people out there: many were of my parents’ generation. Those that I see occasionally seem to be out there living quiet lives now. Without being ageist – each generation has its moment, I suppose. On another note, there was also a great sense of impending doom, reflected in some of the films and books at the time (“Threads”, “The Day After”, “When the Wind Blows”). Maybe we’ll see this sense reawakened after Japan. Assuming there are 442 commercial nuclear power stations worldwide; we now have an observed catastrophic failure rate of 3/442 (Three mile island, Chernobyl, Fukushima) = 1/147. Or perhaps they are not built that way any more (probably a good thing!). I wonder how many unknown design flaws are present in the current generation of reactors being installed in china and in the older generations currently in use around the world. Unfortunately we shall probably see. Yes! it has not taken long. Quite a lot of changes in the websites cited above. Now talks about reactor hours etc. putting as positive spin as possible on the disaster in Japan. Oops perhaps I am being paranoid. I think it is as it was….worth keeping an eye on though. I declare my interests in a ‘no nuclear energy path’ for Australia. Whatever ideological beliefs are in place in the no nuclear energy options/climate change/move to renewable energy options debate, once we move down a ‘nuclear energy path’ we are committed. It does not matter what Precautionary Principle risk management or regulatory systems are in place, there is always the risk. The fact that should never be forgotten about nuclear power is that it is the innocent people/generations that get caught up if there is a disaster. I agree with comments that it will be months before we really know the outcome of the situation in Japan but I am over being told one day that the situation is in control, and then, the next, that it is not. Is the situation really oscillating in that way, or is it just the information/propaganda that is? And thank goodness for writers! I wonder what Mr Tim Flannery has to say about this, especially as his public persona on ABC wants to protect the environment, yet his books promulgate nuclear?